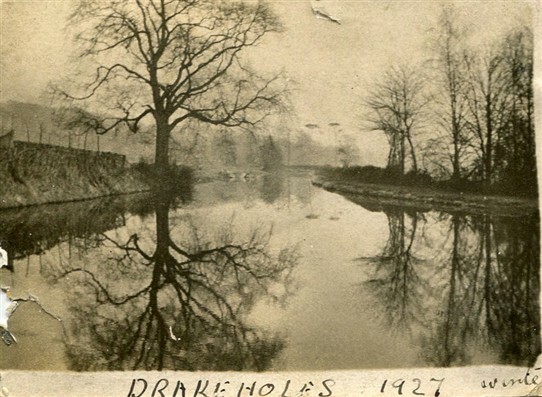 An early photograph of Drakeholes taken in 1927 by my late father-in-law Alfred Marples who was probably cycling in the area at the time. Lived at drakeholes during ww2 and up to 1951. Used to sit on the tree stumps that are on the left of picture in the distance and fish with a bent pin (was about 10 years old at start of ww2).